Manufacturers will not be able to ship any stove that does not meet those numbers on May 15, 2015. Retailers will not be able to sell those non-certified units after Dec. 31, 2015 and that includes pellet stoves. Distributors can still sell and ship units that are not certified until 12-31-15. If you are a retailer, be aware of the manufactured dates and the certification information on the units you have or receive. All units currently manufactured that already pass the new standards will not have to be recertified. NSPS Phase I rules are Less Than Three Years away. On May 15, 2020, everything in retail stores and warehouses, must be 2.0 g/h or less, if tested the traditional way, or 2.5 g/h if tested with a special EPA cordwood method. Industry experts predict that unless the current proposed rules change, there will be a lot fewer models available to sell by then. HPBA is promoting HR 453, which will give the wood and pellet stove industry three more years past 2020 to comply. January 1, 2018 City of Portland is implementing an ordinance requiring a Home Energy Score before a home can be listed for sale. Traditional open fireplaces are known to be a major source of heat loss both while in operation and when not operating, but wood and pellet stoves may also impact this issue. Home owners and hearth retailers may have questions on this issue in the coming months, so stay tuned as we gather more information. In Oregon, it is illegal to reinistall an uncertified wood stove once it has been removed. Removal could result from installing a new stove, or if required to do so when a home is sold. See Oregon Heat Smart For Clean Air laws below. Selling uncertified stoves on Craigslist or classified ads. Selling used uncertified stoves at garage sales and second hand stores. Selling non compliant stoves (those that are not EPA Certified) for permanent intallation in homes or dwellings. If you as a consumer or fireplace retailer notice an obvious violation, report it directly to the Oregon Department of Environmental Quality. Reselling uncertified stoves or non compliant stoves can be a finable offense. The 2009 Oregon Legislature passed Senate Bill 102, the "Heat Smart for Clean Air" bill. 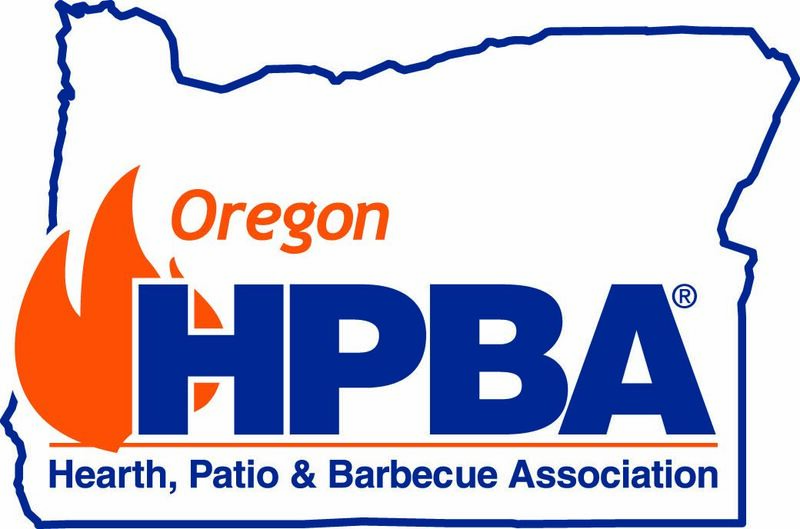 The bill was drafted in cooperation with the Oregon Association of Realtors and OHPBA. Rule making for Heat Smart will begin in the summer of 2010 with adoption in the fall. These new Laws went into effect August 1, 2010. If you are selling a home with an old, uncertified woodstove, you will be required to remove this device and notify ODEQ. The law went into effect August 1, 2010. In a nut shell, what does the law do? This new Oregon law, which was called Senate Bill 102 in the 2009 Oregon Legislature, accelerates the turnover of older uncertified woodstoves and other solid fuel burning devices by requiring the removal of uncertified (non-EPA certified or non-ODEQ certified) woodstoves or wood fireplace inserts upon sale of a home. The law also applies to uncertified woodstoves in outbuildings, shops and garages. Uncertified stoves will either not have an EPA certification or an Oregon DEQ certification sticker (issued in the mid 1980’s) or be listed on EPA’s website of certified stoves. Pellet stoves, masonry heaters and wood-fired furnaces are exempt. Uncertified woodstoves are required to be removed ONLY when a home is SOLD. The law will address enforcement and education and a “basket” for funds to support these campaigns. The seller and buyer must come to agreement which is responsible for arranging for the removal and destruction of the uncertified woodstove and there is a 30 day window to comply. Current Oregon law will not allow an uncertified woodstove to be sold or reinstalled. The law requires that the uncertified woodstove is both removed and destroyed (recycled) and that verification of the destruction is sent to Oregon DEQ. Rules on the reporting requirements to verify the removal and destruction of the uncertified woodstove will be drafted. Until the rules are drafted, removal is mandatory and reporting of the destruction of the uncertified woodstove is voluntary. Which government agency will oversee the law? The logistics of the law, rulemaking, education and enforcement are being carried out by the Oregon Department of Environmental Quality. The law’s rules will be drafted by the Environmental Quality Commission. The law authorizes the EQC to create new emissions requirements for exempt woodstoves, and outdoor wood boilers. It will set emission standards for exempt wood stoves. Ultimately the EQC can create certification standards if EPA were to leave the standards as they are now, but EPA is in the process of revising the “New Source Performance Standard” or, NSPS. This is a federal government program that deals with emissions from woodstoves, pellet stoves and outdoor boilers. How can I tell if my woodstove has to be removed when I sell (or buy) my house? First, make sure it burns cord wood. Pellet stoves, masonry heaters and wood-fired central furnaces are exempt. The second clue is if the woodstove is over 25 years old it might not be certified. Those older stoves typically are large, black, and have a plain metal door with a vent on the door than can be opened or closed by hand. If has only been in the house a few years it is probably certified. If the woodstove and is not EPA or Oregon DEQ certified it must be removed when the home is sold. A certified woodstove will have a metal tag on the back that verifies it is EPA (or Oregon DEQ) certified. The U.S. Environmental Protection Agency (EPA) has required that all wood stoves and wood-burning fireplace inserts be certified since 1992. Oregon DEQ had a program for certification in the mid 1980’s, so if the stove was certified by ODEQ, it does not have to be removed. If the woodstove is a fireplace insert, the certification sticker will be hidden inside the fireplace (behind the fascia) on the back of the stove. The first thing to do is check the EPA website at the above web address. If verification can’t be met by looking at the EPA website, contact a certified and licensed chimney sweep or the service department of hearth product retail store. Often they can verify the stove is certified without looking for the label, but if direct observation of the certification sticker is required, they will need to remove the stove to check for the label. For a list of hearth stores, visit the dealer locator. Can I get the woodstove tested or certified? No. woodstoves and wood inserts must be tested in the lab prior to sale. It is not possible to “convert” an old woodstove and make it certified after it is installed. What is the impact on consumers and the hearth products business? The Heat Smart Law will have a major impact on users of wood stoves in Oregon who are selling or buying a home with an uncertified wood stove. DEQ estimates 80,000 uncertified woodstoves are still in use. The impact will be on the subset of these homes that are sold. Hearth retailers, chimney sweeps, home inspectors and real estate agents will be impacted because they either need to know about the law or they will be involved in the inspection, repair, removal, or replacement of wood stoves and inserts. EPA estimates that for each uncertified woodstove taken out of the local air shed there is a subsequent long term savings of $3,900 in health care costs. It is anticipated that insurance rate may by lower for homes where uncertified stoves have been removed and or/changed out for new hearth appliances. What do we do after we remove the uncertified stove? The law does not require a home seller or buyer to replace the uncertified wood stove - just to take it out and destroy it. But, many new homeowners will choose to replace the woodstove with a modern, certified clean burning wood, pellet, or natural gas stove. Your local hearth products retailer will have many types of appliances in their showroom. A certified chimney sweep or hearth products service technician should verify that the chimney is safe to use after the stove is removed. If the stove has a stove pipe directed through the ceiling or wall, it will need to be capped properly. However, an open fireplace is a very inefficient way to heat a home and it is very dirty burning. The point of this law is to clean up the air, so strong consideration should be given to replacing the woodstove. Tax credits for installation of qualifying wood or pellet stoves are available from the Oregon Department of Energy through the Residential Energy Tax Credit program (up to $300) and from the federal government (up to $1500). Why does the State Legislature feel this law is a good thing? Several counties in Central and Southern Oregon already had ordinances that required this. Those programs appeared to be making a positive impact on air quality in those areas, so this law takes it statewide. Old, dirty-burning woodstoves are bad for people’s health, particularly the young and elderly and people with respiratory problems. Wood stoves can last a long time. ODEQ estimates that 80,000 “pre EPA” wood stoves are in Oregon homes. Now there are much cleaner burning technologies. Modern stoves are 10 times cleaner than old stoves, they are more efficient, and improve indoor air quality. If we don’t require that they are removed when a home is sold they could last another 20 years. After over 20 years of use old, uncertified woodstoves pose a fire safety risk. Low income households cannot afford to take the risk of a fire caused by an aging woodstove or unmaintained chimney. At the time of removal chimneys will be inspected and repaired which will reduce chimney fires. The law will prevent accidents and save lives. A few communities in Oregon run the risk of violating the federal EPA particulate emissions guidelines (PM 2.5). If they exceed the limits, there are dramatic consequences. The law creates a funding “basket” that can be used to target communities for accelerated woodstove changeout programs. Many of these areas are lower income neighborhoods. The law makes it illegal to burn trash and toxic materials in wood stoves. Incredible as it may seem, there was no law about that. The state of Washington has different requirements for wood and pellet stove installation than Oregon has. Here are some links with information. Brochure: "Which Wood Burning Devices Can Be Sold in Washington?"